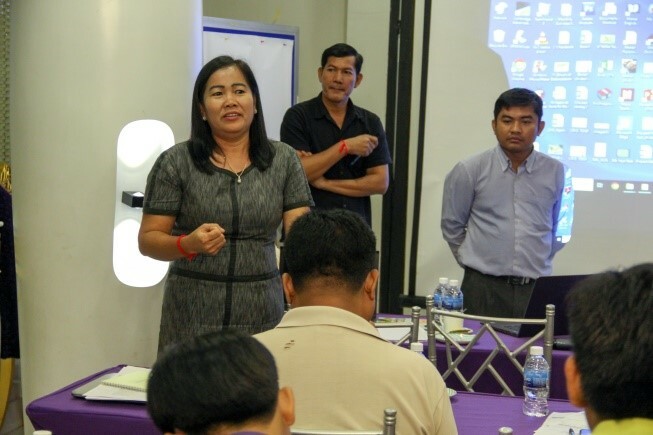 In opening session, Dr. Tek Vannara; NGOF Executive Director that “this three days has been facilitated by NECA of The NGO Forum on Cambodia (NGOF) with supported from SGP GEF UNDP, NCDD, DCA, Caritas Switzerland, and Southern Voice, and refer to what we have been agreed in late 2016 in CSO advocacy strategies aim to more engaging to The Royal Government of Cambodia (RGC) commits to integrating CCA with appropriate financial support in the CDP/CIP by ensuring the community participation in the CCA planning process. With expected that 60% of NECA’s target areas integrate CCA into the CDP/CIP with community participation and appropriate financial support. 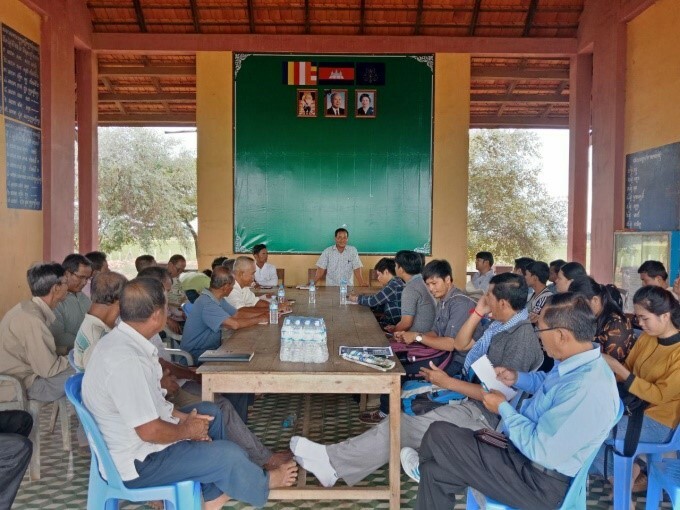 He also highlighted that Climate Change is real…Cambodia’s vulnerability to climate change is widely regarded to be due to its poor adaptive capacity and coping knowledge’s at national and sub-national. Around 80% of the population lives in rural areas with poor adaptive capacity and infrastructure. The agricultural sector contributes around 30% of GDP and by 80% of the population. 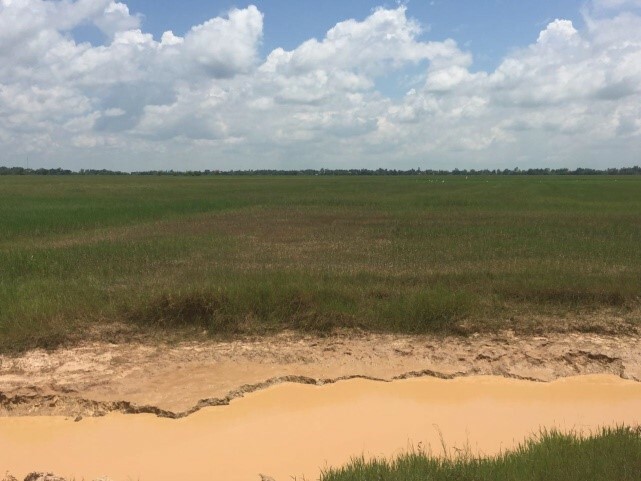 The Second National Communication to the UNFCCC reveals that nearly 50% of the total communes in Cambodia is categorized between vulnerable to extremely vulnerable to climate viability. To address the issue, the mainstreaming for climate change adaptation and disaster risk management into sub-national planning and budgeting has become recognized as increasingly important in building the country’s absorptive capacity and enhancing community resilience to climate impact”. As a key part of this TOT, Ms. Navirak a National Coordinator GEF Small Grants Programme United Nations Development Programme said that the Vulnerability Reduction Assessment (VRA) approach is an important element of UNDP’s monitoring and evaluation framework for climate change adaptation projects at the community, subnational, and national levels. It has been implemented in a growing number of local initiatives under UNDP’s Community Based Adaptation (CBA) Programme, with funding from the Global Environment Facility. It is designed to measure the changing climate vulnerabilities of communities, and to be comparable across vastly different projects, regions, and contexts, making it possible to determine if a given project is successful or unsuccessful in reducing climate change risks. 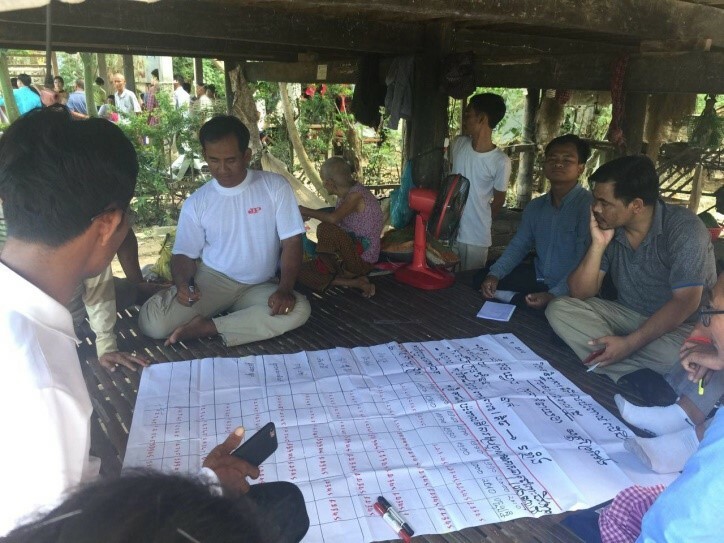 The VRA can be compared to a guided participatory rural appraisal (PRA), focusing on community perceptions of vulnerability to climate change and capacity to adapt. The VRA is based on a composite of 4 indicator questions, tailored to capture locally-relevant issues that are at the heart of understanding vulnerability to climate change. At the end of session; Mr. Som Sovann and Mrs. Ngin Navirak have a strongly optimistic that the participants will be increased the knowledge, skills and ability to mainstream climate change and disaster into commune investment and development plans and they can transfer the gained knowledge by provide train to another stakeholders such as CBOs, municipal, district, commune and community levels, in order to effective mainstream the climate change and disaster into commune investment and development planning. 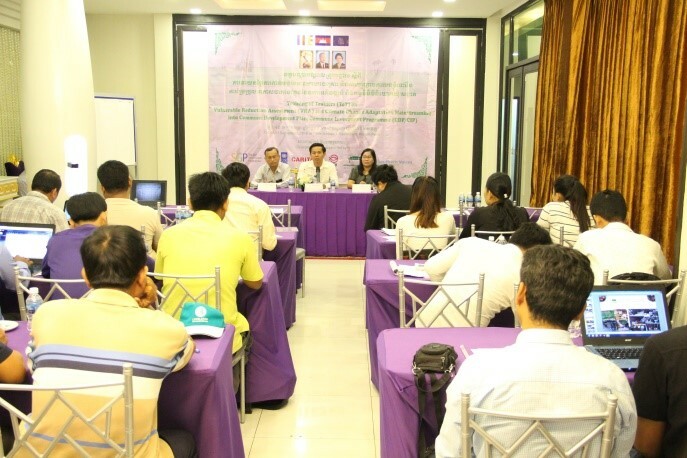 With the oversight of the National Committee for Sustainable Development a former National Climate Change Committee, the Climate Change Department of the Ministry of Environment coordinated to develop the Cambodia Climate Change Strategic Plan (CCCSP) 2014-2023 and introduce the guideline and VRA tool to the local authority and provincial department at sub-national level for learning on the climate change, relevant policies and analysts the venerable are in their real situation area and sectors.